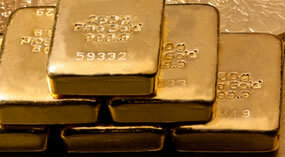 Gold futures climbed higher for a second session Tuesday, trimming from what still remained a hefty April loss. Gold for June delivery added $4.70, or 0.3%, to settle at $1,472.10 an ounce on the Comex in New York. That brought the monthly decline to $123.60, or 7.8%, and the year-to-date loss to $203.70, or 12.2%. Gold prices jumped 4.2% last week, marking the first weekly gain in five weeks as physical demand for gold bars and gold coins soared. "Bargain hunters continued to step up as they see the near-term technical posture of the gold market continuing to improve, which suggests a market bottom is in place," Jim Wyckoff, a senior analyst at Kitco Inc., said in the daily PM Kitco Metals Roundup. "Some short covering, technical buying and chart consolidation were also seen Tuesday. Now, focus is on the conclusion of the latest meeting of the U.S. Federal Reserve’s Open Market Committee on Wednesday afternoon." Silver futures also advanced for a second day with the July contract up 1.9 cents, or less than 0.1%, to $24.185 an ounce. Silver suffered the biggest percentage drop among precious metals in April, down 14.6%. That equated to a dollar decline of $4.14. Silver prices are $6.04, or 20.0%, lower than the end of last year. The white metal surged 3.5% last week. For April, platinum declined 4.3% and palladium gave back 9.2%. Their losses for the year-to-date are mild compared to gold and silver. Platinum has fallen 2.3% and palladium has dipped 0.8%. For the month in London, declines were 8.1% for gold, 14.7% for silver, 4.4% for platinum and 9.2% for palladium. American Eagle silver coins at 4,087,000 are 21.8% higher than the previous month and 168.9% stronger than the same time last year. Year-to-date sales of 18,310,000 have never been achieved so soon in a year. Last year sales did not top 18.3 million until July 16. April sales of American Eagle gold coins at 209,500 ounces are the highest for a month since December 2009. American Buffalo gold coins at 37,000 ounces more than tripled monthly sales from February and March and from April of last year. April sales of America the Beautiful 5 Ounce Silver Bullion Coins came in at zero since last year’s issues sold out on March 1 and this year’s issues have yet to be released. The following are April and year-to-date bullion coin totals as reported by the U.S. Mint. *The U.S. Mint has temporarily suspended sales of its smallest Gold Eagle until inventories are replenished. The bureau ran out of them on April 22. Does anyone have an inkling as to ‘when’ issuance/distribution will begin of the 2013 America the Beautiful 5-oz bullion coin(s)? Thanks! I love the America the Beautiful silver 5oz coins. I have no idea when they will be sold again. I guess the Mint likes to keep its secrets. With silver prices so low, it should be signaling an over supply of silver. The Mint should have plenty of raw material.